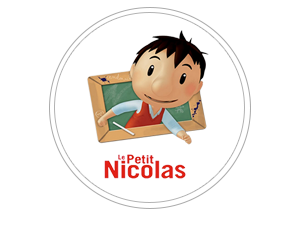 Le Petit Nicolas (Little Nicholas) is a series of French children's books published for the first time on March 29, 1959. It was created by René Goscinny and illustrated by Jean-Jacques Sempé. Ooolala is an exclusive, invitation-only online destination where invited members discover premier brands in time limited campaigns. Products are either end of season or are not yet available thus making Ooolala a unique platform for great deals: usually 30-70% off the original retail price. Each brand is featured in its own dedicated 'boutique', offering a customized shopping experience for members to connect with the brands they desire and discover new ones to love. The company offers a unique and efficient direct marketing channel to its brand partners. Tok Tok Tok’s platform aims to let customers order anything they would otherwise shop for locally in person, and have it delivered by one of its “runners” within the hour on the same day. This can be anything from groceries, electronics, office supplies, drinks and beverages, flowers, etc.